In a grown-up world „play“ is an ambiguous term. Despite its positive connotation, „playing“ in general is an activity of minor importance in an adult‘s life. Play, if at all pursued, is considered an activity to balance the tough effects of a hard daily working-life. Expressions such as ‚work hard, play hard‘ draw a picture of play as something enjoyable that – if at all – find its role as the counter-part to „more serious activities“, e.g. work. If something is trivial, simple, or can easily be done, it might even get labelled as ‚child’s play‘. Anyone who ever carefully observed a child at play, will immediately see the problem here. A child immersed in play shows a seriousness, curiosity, and positive energy that is hard to be matched. Children will explore, experiment, and de-construct whatever they get into their hands, until they find out how the world works. In fact: for little humans play is the only natural way to learn and reach mastery. In its latest issue the Journal of Beautiful Business interviewed Justyna Zubrycka, designer, co-founder of Vai Kai and creator of beautiful playthings, on the concept of play. Time to step back and reconsider the value of play! Read the full interview at https://journalofbeautifulbusiness.com/q-a-with-justyna-zubrycka-on-the-importance-of-play-8ec30a0f4236. Finally, what can we transfer to our daily life not just as parents but as co-workers, entrepreneurs, creative people? In her interview Justyna emphasizes that the „concept of play not only can, but should be applied to adults in business and in corporate learning“. In fact, the future-of-work-discussion is dominated by questions about the means of communications and the set-up of working spaces. Yet, co-working, open spaces, remote teams, mobility, and flexible working hours are no change to the general approach of learning new things and being creative. The way HOW we work is rarely discussed. It might be time we start reconsidering that one, too. What are your thoughts on this topic? We are curious, let us know! 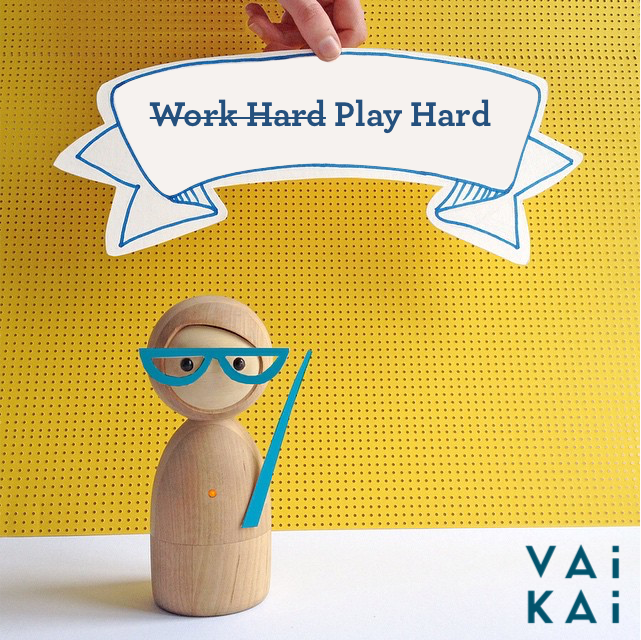 Post in the comments below or drop us a line at info@vaikai.com.